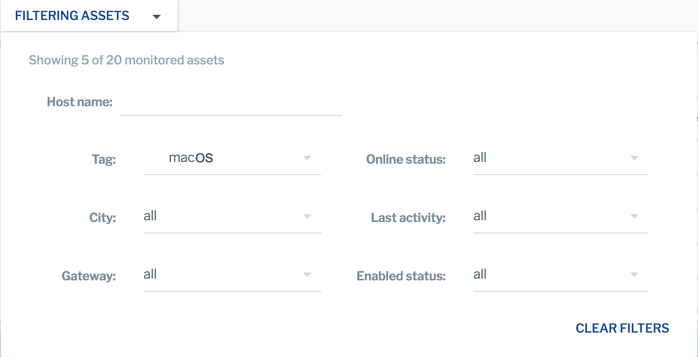 Your Mac EDR Dashboard is just a click away. Use out-of-the-box tags like operating system, or customize tags based on your system view needs. It's a fast way to zero in on a subset of your fleet for a proactive health check or to determine what assets may need prioritized attention. One-off alerts alone can produce an overwhelming amount of noise. The Uptycs EDR Dashboard provides more complete threat context - showing only assets where more than one of these suspicious behaviors; Bad IP access, critical file change, location change, suspicious login, network traffic, OS X vulnerability and suspicious software, are active. Click to investigate assets that have more than one suspicious activity. A recent activity timeline and alert detail list helps you quickly assess if collective activity is benign or requires immediate attention. Collaborate across the team by adding notations, updating statuses or assigning alerts right from the dashboard. Gain at-a-glance insights on your currently active assets as well as a historical view of “normal” behavior for comparison. Spot the physical location of your assets around the world on a map and location list view for fast identification of suspicious location changes. In 2014, a true disruption began with Facebook's osquery -- a universal, open-source, endpoint agent able to extract data from any singular source and make it available as a virtual SQL database. 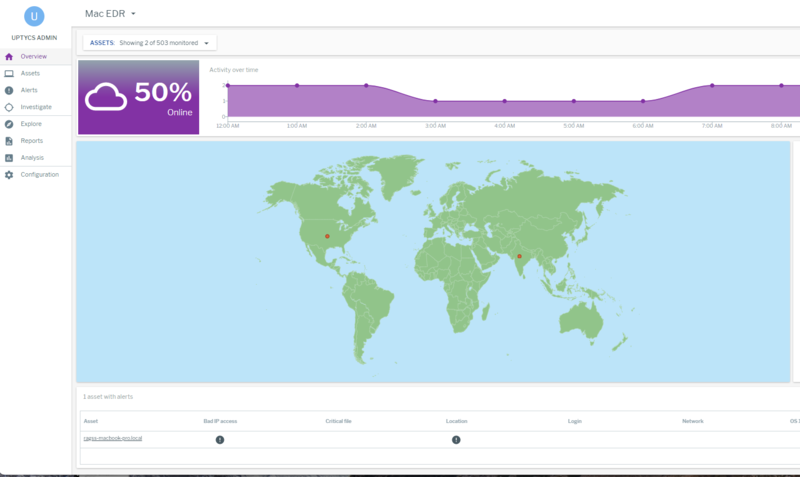 Uptycs ingests endpoint data via osquery, offering full fleet monitoring at scale. 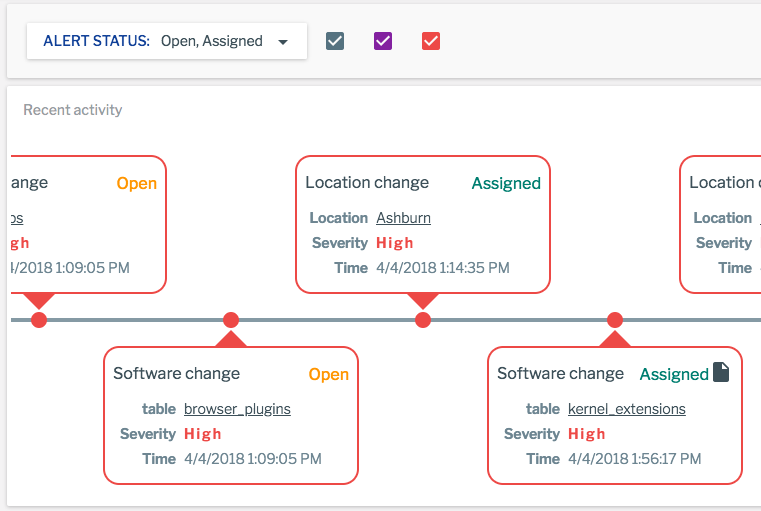 We continuously apply 1000s of custom SQL queries and monitor endpoint state against threat and IOC sources, transforming noise into actionable security protocols for your entire cloud infrastructure.